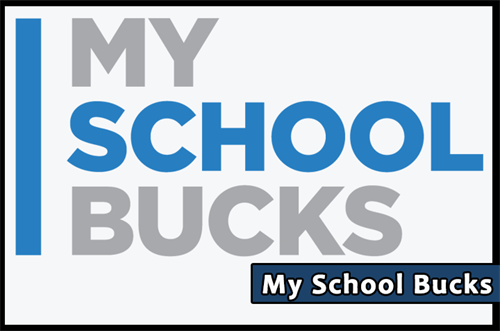 My School Bucks is an online account for payment of student lunches. From this website you can create your account and add money to your child’s school meal account. All you need is your child’s name, school, and student ID number. The instructions listed on the back of this page will guide you through the process. If you have more than one child in the District you can handle all online prepayments from the same online account. Payments may be made with a Visa, MasterCard, and Discover credit or debit card.You may also make a payment using an e-check. In order to use the online prepayment service, a small convenience fee for each transaction will be assessed to cover the bank fees.The convenience fee is $1.95 per deposit transaction.Parents placing money into multiple meal accounts will only be assessed the $1.95 fee once per deposit transaction. Township of Union Board of Education will not profit from the use of this site.Please Note: You may fund up to $120 per child, but a family may pay for all of their children on a single transaction. You will first need your child’s student ID number; you may get this number by contacting your child’s school or contacting my office. Click REGISTER FOR A FREE ACCOUNT and enter the required information. Once you are logged into your new account, click MY HOUSEHOLD from the left-side navigation bar. Click LOOK UP YOUR STUDENTS. Select your child’s school from the drop-down box. Enter your child’s first name. Enter your child’s last name. Enter your child’s student ID number. Click FINISH or click ADD ANOTHER STUDENT to repeat the process for additional children. From the My Household page, click MAKE A PAYMENT. Enter the deposit amount for each student account, then click ADD TO BASKET. Review the amount(s) you have entered and click CHECK OUT NOW. If you need to adjust an amount click CONTINUE SHOPPING. If paying with a credit or debit card, enter the three or four digit Verification Code that appears on your card, then click CONTINUE. Review your order and make sure all deposits are correct, then click PLACE ORDER. Click PRINT ORDER to generate a receipt of your transaction in a new window.We recommend that you keep a copy for records. Click FINISH to complete the transaction. Click here to view the Aramark 2017-2018 parent letter.